On behalf of the International Reciprocal Trade Association Global Board of Directors, I would like to welcome each and every one of you to the 31st Annual IRTA International Convention. We have traveled here from all parts of the world to make a human connection with the very best and brightest people the Modern Trade and Barter industry has to offer. Industry leaders, start ups, mature exchanges, software providers, corporate barter companies, consultants, community currencies have gathered together here to share ideas, learn and develop interpersonal relationships that will last for a life time. The theme of this year's convention �Modern Barter Leading the Way to Economic Recovery� is particularly timely and appropriate. The current worldwide economic downturn has presented the Modern Trade and Barter Industry with a unique opportunity to demonstrate to the business community how excess business capacities and underperforming assets can be transformed into capitalization and bottom line profits. 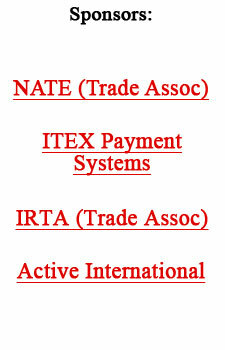 The members of IRTA are uniquely positioned to lead the Modern Trade and Barter Industry into a new and unprecedented level of recognition and achievement. Modern trade and barter is one of the solutions towards a path of worldwide economic recovery and job creation. Our story is being told; over the past few years the Modern Trade and Barter Industry has attracted enormous positive media attention. This attention has stirred considerable entrepreneurial interest in our industry as evidenced by the surge of start-up barter companies that we have welcomed into IRTA. Many of those start-up companies are present at this convention. Please nurture them for they represent the future of this industry. I believe that our industry provides an economic efficiency that when fully developed will lead to a huge increase in consumption, production, and employment. This will bring the world as a whole to a higher standard of living with better nutrition, education and healthcare. I look forward to personally meeting with you during this important and dynamic event.